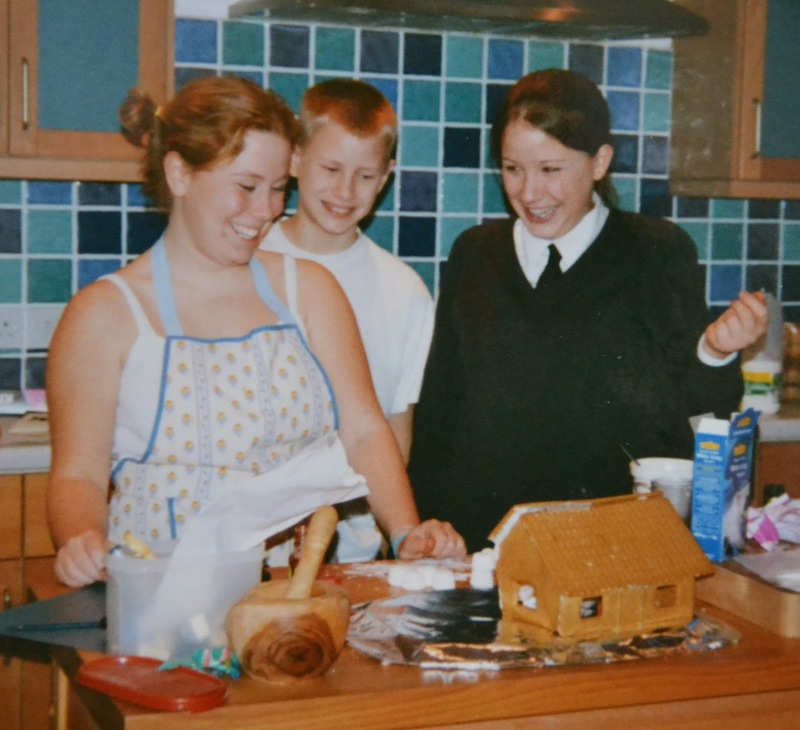 I love #throwbackthursday on instagram so today I thought I would play along and share with you two gingerbread houses. 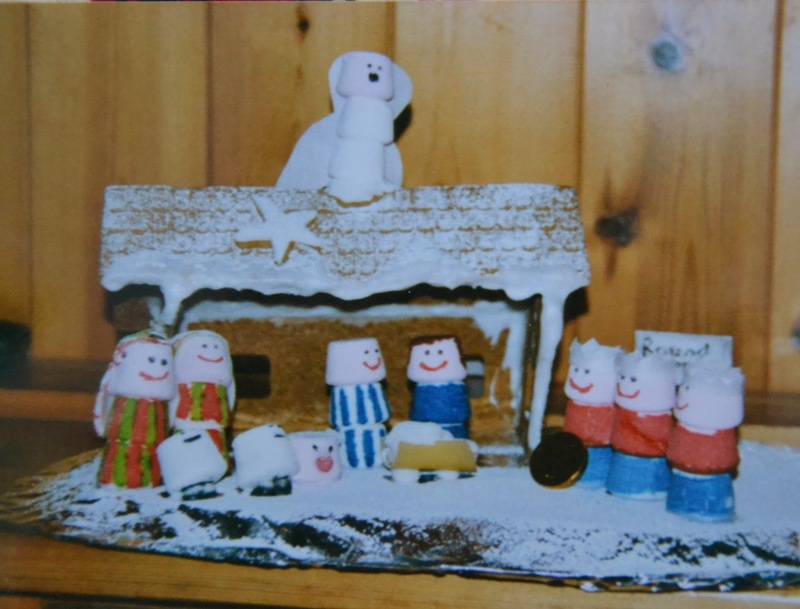 The first gingerbread house I ever made was one of those Ikea ones you can buy, I left off the front and made it into a gingerbread nativity instead. That's Cassie and I working on it together and our brother too. Pretty sure he was just eating the marshmallows. The people were made out of three marshmallows each, we used rice paper for the details like the crowns and angels wings, and baby Jesus was asleep in a cannelloni manger. We even had a gold coin for the king and a twiglet staff for a shepherd but this must have been eaten before the photo was take or is out of view. I think I will make another one like this one day because it was a lot of fun.